Inspired by the Royal Academy of Engineering, this in-depth course aims to develop high-calibre engineers who can lead complex engineering projects that are vital to modern society. After a broad, common first year, students can choose to specialise in mechanical, aerospace or civil engineering, studying technical units alongside students from these other engineering degrees. The third year is a paid placement in industry, which forms an assessed part of the course and is closely monitored by the University, allowing you to start working towards becoming a Chartered Engineer. You will be given similar levels of responsibility as graduate entrants, with opportunities to manage your own projects. In years four and five you can choose from a wide range of technical modules from the Departments of Aerospace, Civil and Mechanical Engineering, as well as open units from Engineering or other faculties. This gives you the chance to gain further technical expertise in your chosen specialisation and a broader learning experience in other subjects, such as computer science, finance, geography or languages. A group research and design project forms a major component of your final two years. The project is conducted with one of our industrial partners and you can choose from a range of topics covering areas such as robotics, manufacturing, renewable energy, future cities and sustainable transport. Our degree is accredited by numerous bodies under licence from the Engineering Council. An accredited degree provides you with the underpinning knowledge, understanding and skills for eventual registration as an Incorporated (IEng) or Chartered Engineer (CEng). See a list of all Engineering Design degrees at Bristol, and find more information about the course, assessment and career prospects. Pass Access to HE Diploma (Engineering, Engineering Science, Maths and Engineering, Science, or Science and Engineering) with 30 credits at Distinction and 15 credits at Merit. At least 12 graded level 3 credits at Distinction in Mathematics and 12 graded level 3 credits at Distinction in Physics. The Mathematics units taken should include study of calculus, algebra and trigonometry. Plus A in A-level Mathematics. 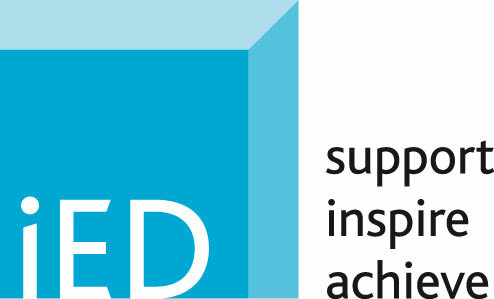 The Institution of Engineering Designers (IED) on behalf of the Engineering Council for the purposes of fully meeting the academic requirement for registration as a Chartered Engineer. The Royal Aeronautical Society (RAeS) on behalf of the Engineering Council for the purposes of fully meeting the academic requirement for registration as a Chartered Engineer. The Institute of Highway Engineers (IHE) on behalf of the Engineering Council for the purposes of fully meeting the academic requirement for registration as a Chartered Engineer. The Institution of Civil Engineers (ICE) on behalf of the Engineering Council for the purposes of fully meeting the academic requirement for registration as a Chartered Engineer. The Institution of Structural Engineers (IStructE) on behalf of the Engineering Council for the purposes of fully meeting the academic requirement for registration as a Chartered Engineer. The Institution of Engineering and Technology (IET) on behalf of the Engineering Council for the purposes of fully meeting the academic requirement for registration as a Chartered Engineer.